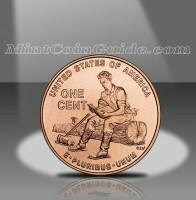 Appearing as the second of four new cent coins in 2009 was the Lincoln Formative Years Cent. The coin was part of a series of four new cents struck to honor the 16th President of the United States Abraham Lincoln on the bicentennial of his birth. Each of the four coins represented a different portion in the life of Lincoln who had the unenviable task of leading the country through the American Civil War. In 2010, the US Mint followed the above four coins with another new cent showing a Union Shield on its reverse representing Lincoln’s preservation of the Union. 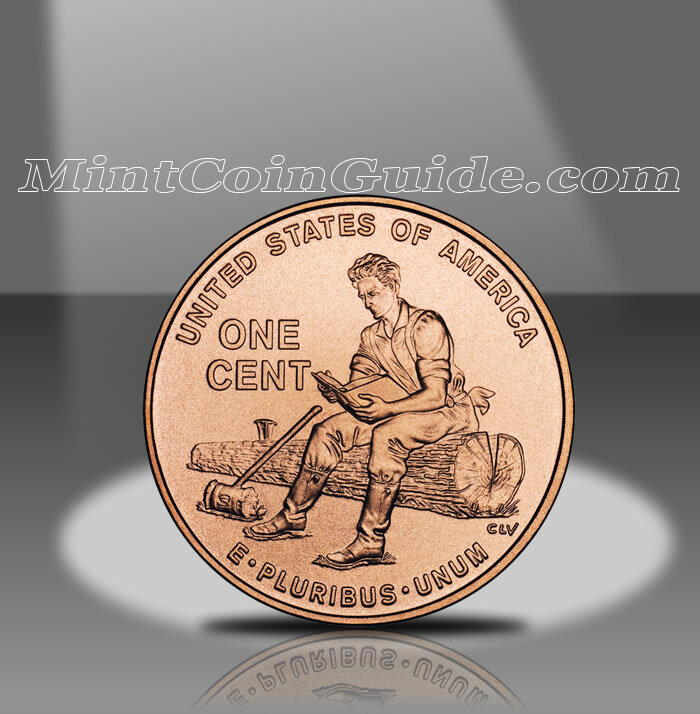 The 2009 Formative Years Cent was the second of four new cents released by the Mint in 2009 to celebrate the bicentennial of the birth of Abraham Lincoln. The US Mint issued the Lincoln Formative Years Cent on May 14, 2009 with a ceremony held near Lincoln City, Indiana – approximate location where Lincoln spent a majority of his childhood. The US Mint released the Formative Years Cent into circulation through the normal Federal Reserve channels for the face value of the coin – $.01. Circulation quality Formative Years Cents were struck at the US Mint’s facility in Denver and the US Mint’s facility in Philadelphia. Proof quality versions were struck at the US Mint’s facility in San Francisco. The obverse (heads side) portrait of Abraham Lincoln was designed by Victor David Brenner and first appeared on the cent coin in 1909. Charles Vickers designed and sculpted the reverse (tails side) design to show a young Lincoln sitting on a log reading a book while taking a break from rail splitting. According to the US Mint a total of 739,600,000 of the Lincoln Formative Years Cents were struck – 376,000,000 at the US Mint’s facility in Philadelphia and 363,600,000 at the US Mint’s facility in Denver.